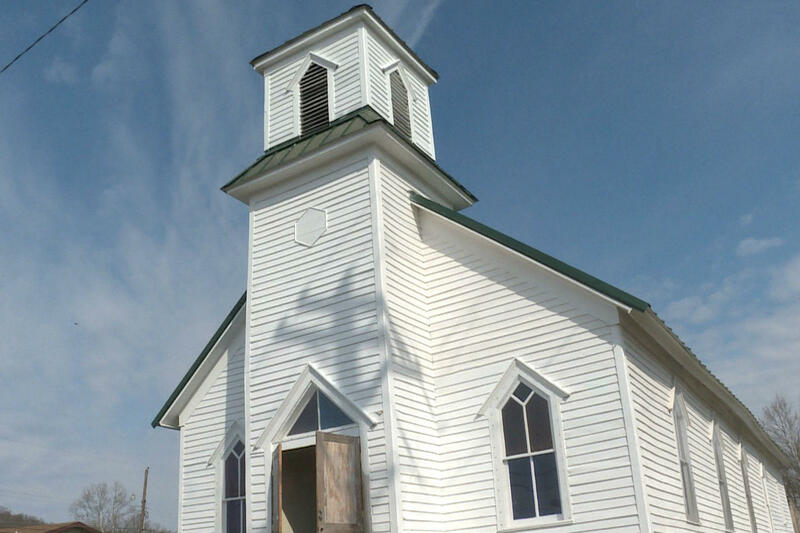 Indiana Landmarks placed the church on its 10 Most Endangered List in 2014. While other volunteers fix walls and windows in the small, white church building, Elizabeth Mitchell is trying to find some of the names of the church’s original congregation, who worshiped in West Baden more than a hundred years ago. But a lot of those structures that served as the center of life for the African-American community in West Baden no longer exist. Drabing says that makes it all the more important to keep the church standing. Another volunteer with the project, Thomas Doyle Sr., agrees that the West Baden community has been very welcoming. Mitchell says the biggest challenge right now is getting funding. They’re about $50,000 short of a $200,000 goal. But she says the fact that they’ve gotten this far speaks to the importance of the project for the community. Volunteers are hoping to finish fundraising and complete the restoration soon so they can begin to host services for the new congregation.